Today's post is part of Find the Good February, a month dedicated to finding the good in your life (and in yourself!). Each week features a unique theme, and this week's theme is TOUGH TIMES. Happy Leap Day! :) And happy last Monday of Find the Good February! I've so enjoyed focusing on striving to find the good all month long. It's been a tricky month for me (as February often is for some reason...), and having the goal of finding the good has really helped me stay focused on the positive aspects of life. This might sound like the opposite of what you want to do when things are bad, but so much of our personal struggles come not from the actual negative experience itself but from worrying about it before it happens or reliving it over and over again once it's already happened. To avoid additional pain, focus on what's happening right in this moment. Pay close attention to your five senses in particular, taking note of what you can see, hear, taste, touch, and smell. This will keep your mind from wandering into worry territory. One of the best ways to stay optimistic when times are tough is to focus on what you have instead of what you lack. If, for example, you're going through a really difficult break-up, instead of focusing on the things you're going to miss about your ex, make a list of things you have in your life right now: good friends, a steady income, unique talents, a cute pet, etc. Gratitude is one of the best tools for overcoming any difficulty and it's particularly useful when things aren't going well. When you're in the midst of hard times, it's certainly a challenge to see the benefits of your situation, but there's almost always something good that could come from the bad. For example, if you just lost your job, maybe this means you're going to find a career path that's even more fulfilling for you. Or, to use the previous example, maybe the loss of a partner means an opening in your life for a new partner, new friendships, or a greater understanding of yourself. Almost every difficult situation has a silver lining, but most of them you won't be able to see unless you really look closely and focus your attention on finding it. Why is it when one bad thing happens, it starts to feel as if everything is going wrong? It's because, as the quote above says, we see things not as they are but as we are. Everything we experience is filtered through our own internal dialogue and perspective. When things are great, we tend to see the whole world through rose-tinted glasses. When times are tough, a darkness tends to tint everything. The wonderful news is: you have the power to control how you see the world. Take note of how you're viewing things and make the choice (even when it's hard!) to seek out the good rather than the bad. It's one thing to stay positive and present when things are going well, but it's really challenging when times get tough. If you're going through a tough time, I hope these tips help you and I hope you continue to remind yourself that things will get better. No matter how bad it seems now, life has a way of changing (both our circumstances and our minds) in ways we might never expect. If you're struggling, hang in there. If you're currently in a good place in your life (yay! ), keep these tips in mind for tough times or bad days. And, whatever you situation, always remember that, though there are a great many things you can't control in life, the one thing you have power over is how you think about a situation and how you react to it. Today's post is part of Find the Good February, a month dedicated to finding the good in your life (and in yourself!). Each week features a unique theme, and this week's theme is RELATIONSHIPS. One of the quickest ways to find fault in others is to compare them to someone else (or to yourself). Everyone is unique and if you're looking for someone to be just like you or someone else, you're going to have a difficult time finding the good in that individual and appreciating who s/he is. This is especially important when it comes to significant others. If you're constantly comparing your current love to someone you've loved before, how are you ever going to truly find the good in your current relationship? (Hint: you won't.) The less you compare, the easier it is to find the good. Dwelling on what someone has done in the past can make it difficult to focus on who they are now. This doesn't mean you should forget what someone has done, but if someone has made positive progress or atoned for any sins committed against you, it does no good for the relationship (or you!) to continue holding a grudge in the present. People change and one way to find the good in them is to pay attention to how they act right now, not to harp on how they've behaved in the past. When you make assumptions (particularly about someone you don't know), finding the good can be a challenge. The best way to stop making assumptions is to keep your mind and heart open to what people are actually doing and saying. Try your hardest not to label people into "good" or "bad" categories because, just because someone has behaved badly once doesn't mean they'll behave that way again. Also, if you label someone, it can be hard to mentally shake that label. For example, if you think, "Ugh, my coworker is so annoying," you're going to be looking for the ways she annoys you, which will make it really hard to see her good traits. If you want to find the good in others, it helps to be interested in them. Keep your mind (and ears! and eyes!) open and you'll be surprised by what you might discover. This ties in with dropping your assumptions. Instead of guessing what someone else is thinking or how they feel about something, ask. One of the best ways to find goodness in others is to ask lots and lots of questions. The more you know about others (especially personal details, like the fact that your boss adores his cat or your dentist has two kids), the easier it is to connect with them and notice the positive aspects. Another great way to find the good in others is to imagine that every single person is looking out for your best interest. This is very hard to do when someone cuts you off in traffic or your partner says something that enrages you, but the more you focus on how people might be looking out for you, the easier it becomes to find the good in them. More often than not, people do have the best of intentions (even if it might not always seem that way) and, even if they aren't specifically looking out for you, they're not likely looking to hurt you. Keeping this in mind will help you when you're struggling to find the good in difficult people. Each and every one of us is flawed in some way. We all have emotional baggage that we drag around with us. We've all been hurt by someone. We've all been born with unique personality traits that are sometimes less-than-ideal. Appreciating flaws might sound negative, but it's actually a very positive thing to do when it comes to finding the good in others. Keeping in mind that we all -- including you! -- have our stuff (emotions, personalities, etc.) makes it easier to be compassionate and empathetic when others aren't showing their best sides, allowing us to find the good even when things aren't great. We're all crazily unique beings and, to be honest, it's a wonder that any of us get along at all! I know how hard it can be to find the good in certain people. Some people are just difficult (and, hey, you might even be one of those people!) and some situations are downright challenging -- but if you strive to find the good in others, you'll not only improve your relationships with them, but you'll strengthen yourself emotionally as well. Plus, the more you focus on the good, the easier it becomes to enjoy time spent with others (even if they aren't people you particularly enjoy). Seeking out the good in others won't make every person seem wonderful, but it's definitely going to help you make the most of each and every one of your relationships. Today's post is part of Find the Good February, a month dedicated to finding the good in your life (and in yourself!). Each week features a unique theme, and this week's theme is SELF. Self-love is absolutely vital for living a positive, present life. It is the foundation for all of your relationships (and relationships are a big part of life! ), which is why it's so important to pay attention to, and cultivate a good relationship with, yourself. Self-love it's about adoring every single aspect of yourself. We all have things we'd like to change -- and that's a good thing. If we didn't want to change anything, we'd be living pretty stagnant, boring lives. That being said, self-love is about focusing on the good things about yourself. It's about turning your attention to your strong traits more often than not and cultivating an acceptance for the things you don't particularly enjoy about yourself. Unfortunately, it's sometimes easier to be hard on yourself than it is to lift yourself up, but if you want to love yourself, you have to change your mindset. You have to believe that you're worthy of love, and you have to actively seek out good things about who you are. Changing the way you think about yourself is the first (and most essential!) step to finding the good in yourself. One of the hardest parts of self-love is not beating yourself up for things you've done, said, been in the past. We all have things we're not super proud of, but clinging to these things can get in the way of finding the good in the present moment. If you struggle to embrace your past, remember this: everything that happened in the past made you the person you am today. That, in itself, is a reason to appreciate it. Of course, not every desire should be indulged, but, when it comes to finding the good in yourself, it's important to treat yourself to the things in life that make you happy. Consider what inspires you, delights you, or fills you with excitement. These are the things you love, and recognizing these can give you insight into who you are -- and show you what you deserve to indulge in. Most of us are passionate about something. We all have things that really matter to us -- whether it be a cause, a job, a loved one, or a hobby. Whatever it is that really excites you, focus on that. Spend time doing it as often as you can, and try to be really mindful when you're enjoying it. One of the best ways you can learn to love yourself is to zero in on the things that you really, truly love. It can be tough to be proud of yourself without feeling as if you're boastful, but it's okay to remind yourself how awesome you are every once and awhile. It's okay to admit that you did an amazing job on something or accomplished something you never thought you could. When you celebrate yourself and your achievements, you're focusing on the really good things about you -- and that's going to make self-love a lot easier! Have you ever ignored your instincts or avoiding following a gut reaction? Self-love means not doing that. It means believing that, deep down, you know what's right for you -- and you should follow your own advice. Recognize that your thoughts and feelings are valid (even if they make no sense to anyone else!) and be brave enough to listen to them. You know, better than anyone else, what you need in your life. Never forget that. As Danielle LaPorte said: "Be obsessively grateful." Be grateful not only for the things, people, and experiences around you, but for every inch of yourself. Be grateful for your body, which allows you to function. Be grateful for your mind, which allows you to even contemplate the idea of self-love. And be grateful for all of the goodness you bring into the world. If you want to find the good in yourself, direct your attention to what you have, not what you lack. Finding the good in yourself can be an uphill battle at times, but never, ever give up on the idea of self-love. When you love, appreciate, and respect who you are, everything in your life changes for the better. Your relationships are stronger. 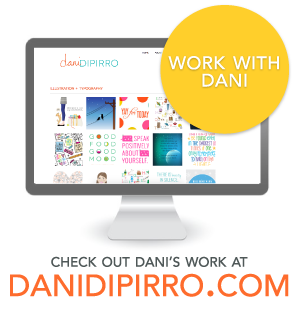 Your work is more brilliant. You feel braver and better and more in love with simply being you, just as you are. Finding the good in yourself is a brave act of self-love and self-awareness. 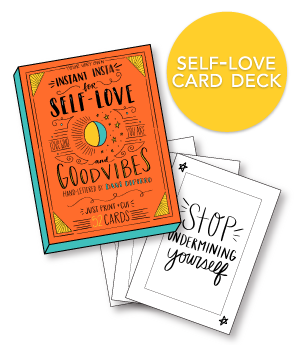 Want to empower yourself with some more serious self-love and acceptance? Start loving yourself (or increase the love you already have for yourself!) with the inspiration and motivation found in Loving Your Self: An Empowering Workbook for Increasing Self-Love. Filled with uplifting encouragement, thought-provoking questions, and engaging exercises, Loving Your Self is an essential tool for mastering the art of self-love. Learn more about the workbook here and purchase your own copy here.